Today, I want take a moment and share a story about how I was first introduced to network marketing. It was March of 2002. I was a young 24 years old. At the time I was serving as a First Lieutenant in the U.S. Army at Fort Carson, Colorado. I was immature for my age, had a bad attitude, and didn’t have a lot going for me. I was about to be married. I was well educated and had a good paying job, but there wasn’t anything special about me. One day, one of my co-workers (another Lieutenant) pulled me aside and asked me if I was open-minded about ways to make additional money. I was by no means broke, but I’ve ALWAYS been open minded about making more money. After all, who wouldn’t want some extra cash to improve their standard of living? She used the curiosity approach with me. She was somewhat secretive and indirect. She simply told me to come over to her house later that night because she had someone coming over to talk about a great money making idea. She said nothing about a home business or network marketing. She didn’t try to convince me or pressure me. She simply asked me a qualifying question, invited me and asked for a decision. About an hour or two before the meeting I tried to back out. Yep, I was one of those prospects. I had a long day at work that day and just didn’t feel like going to her house. Fortunately for me, my best friend, Watson, was also invited to the meeting and he made me go with him. We rode in his car. He told me I had given her my word and that backing out wasn’t an option. When I got to her house there were about 10 other people there. I could feel the excitement in the air. I found a seat on the couch and made small talk with the other guests. A young guy (about my age) showed up in a blue suit, white shirt and red tie. I had never met him before, but I was told that he was also a Lieutenant in our unit. He set up a white board with an easel and started asking provocative questions to get me dreaming about my own life. He talked about concepts such as financial freedom and residual income. He talked about “switching stores” and getting paid for building up a referral network. I was by no means skeptical. In fact, I was excited. No one had ever talked to me like this before. 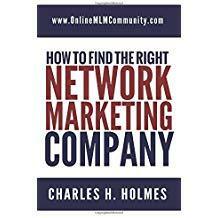 I had never heard of network marketing, home based businesses or residual income. To me the idea simply made sense. I figured I could switch stores and teach other people to do the same thing. Who couldn’t do that? He went on to explain that if I found six serious people I could eventually be a diamond and be financially set for life. In my mind, I already knew who my six people were going to be! The name of the company was Quixtar. I was later told that it was affiliated with Amway, which I had never heard of either. We were sent home at the end of the presentation with some information and were told that the host would follow up with us within a day or two. I didn’t need someone to follow up with me. I went home and signed myself up online. This was when we had dial up internet, and it took me 15 minutes just to get online. I remember laying in bed that night trying to fall asleep. I didn’t sleep at all. Someone had awaken a beast inside of me that had been dormant for many years. Now some 14 years later, I still feel the exact same way that I felt that night. I wake up every day feeling that way. I am eternally grateful that someone stepped out of their comfort zone and invited me to take a look at something that has changed my life for the better. In fact, I have no idea where I would be in life if Christine hadn’t invited me to take a look at network marketing. How were you first introduced to network marketing? Leave a comment below and let me know. I look forward to hearing from you.